Polymer markets are inherently volatile, and prices reflect the everyday changes in economic developments, the arrival of new suppliers, political changes and financial speculations. 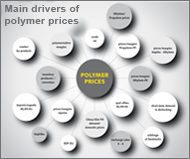 The price of polymers like polyethylene, polypropylene and polystyrene is influenced by about 20 different factors. Feedstock suppliers have very little time to assess the future market development and decide on the best time to buy. But how can you find the right timing? 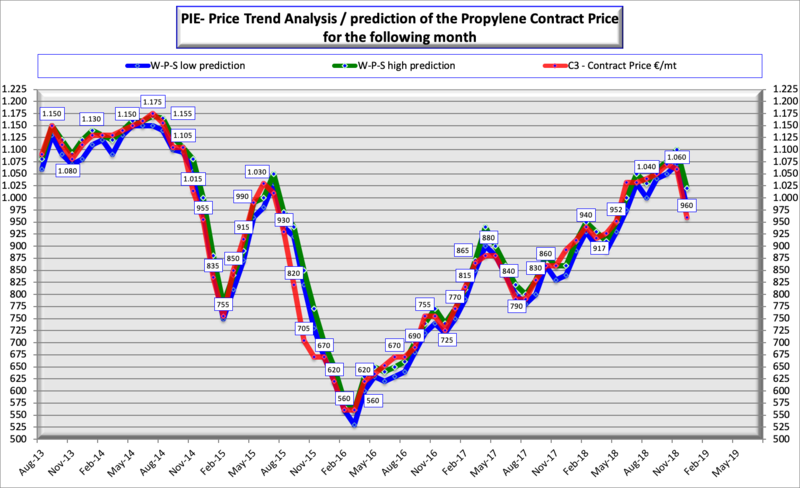 PIE’s Price Trend Analysis for plastics procurement is based on a unique concept developed by Wolf Polymere Solutions. A one of a kind analysis, it enables an early prediction of price changes and a market turnaround, and points the way to future trends. In so doing, the Price Trend Analysis provides you with clear recommendations on the best timing to buy and sell polymers. What does the Price Trend Analysis consist of? 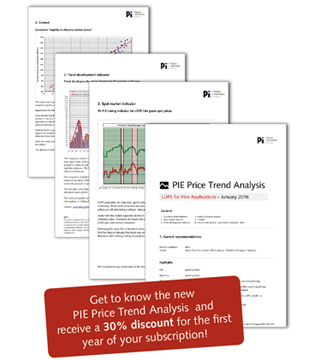 The PIE Price Trend Analyses are not limited to an examination of the current state of and facts determining the feedstock market. They also provide insights into the short- and mid-term future. The analysis is carried out from a neutral point of view and not tainted by third-party influences. 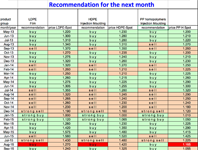 Two weeks ahead of the start to the monthly contract negotiations you will receive an assessment of the anticipated change in monomer prices in the ensuing month. In addition, you will receive advice on how to act as well as further information on the current price trend. Wolf Polymere Solutions’ expertise and sectoral know-how is based on long term experiences in polymer purchasing, sales and management. With more than 25 years of work experience, managing director Wolfgang Binder is a renowned expert in the polymer business, familiar with all its ins and outs and the requirements placed by the plastics market on both processors and producers.